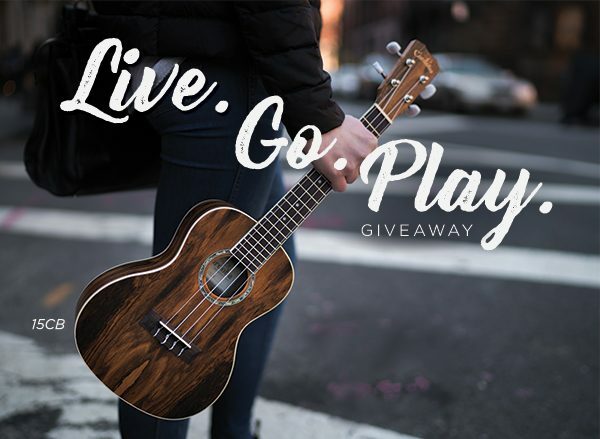 Win a Uke for You & a Friend with the Live. Go. Play. Giveaway! We’re giving away two 15CB concert ukuleles for you and a friend this month with our Live. Go. Play. giveaway! Entering is easy. Just follow @cordobaguitars on Instagram & tag your travel buddy with where you’d want to go next! Feel free to comment once on each post of the 15CB until May 18th. We’ll announce the winner on May 21st via our Instagram. Please click here for official rules. Giveaway is open internationally; please make sure your profile is public for the duration of the giveaway.